DCMM: Digital Capabilities Management Model is a radically new management model designed to support CIOs with their organization’s digital transformation pathing the way for success in a new era by providing the “what” not just the “why”. It offers entirely new thinking that will help you manage complexity, speed of change and uncertainty in the digital world. Taking inspirations from evolution, nature and collaborative networks, this new model provides you a new paradigm on managing IT, helping you initiate self-improvements and adaptations while the governing logic is focus on building digital capabilities rapidly for the benefit of your entire organization. This book isn’t about high level concepts its practical steps that increase your ability to digitally collaborate both inside and outside of the traditional structures which is essential for adapting and surviving. The key focus is on minimizing administrative resources required to apply the model, so it releases resources for innovations and experimentation that will give you the competitive advantage the business needs. DCMM is a leap forward from traditional service thinking and brings IT governance in to 21st century thinking and beyond, evolution teach us survival is not the fittest but the most able to adapt. The Digital era which we have entered, should inspire us to build our management logic on collaborative effort, with shared objectives and motivations while enabling us to manage the risk of not reaching intended objectives in such an uncertain future. 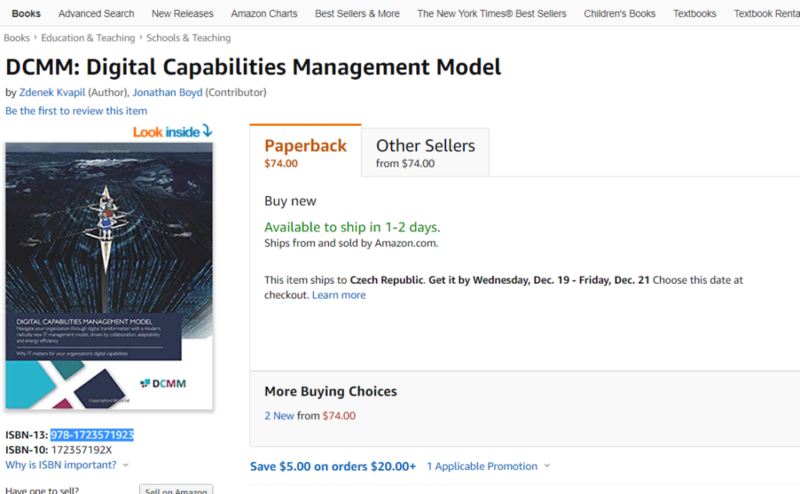 Collaboration, colleagues, stories, improvements, innovations, digital capabilities are building blocks of this book, targeted to modern CIO’s, who are embarking on digital transformation and aim to be equipped with innovative and disruptive new management patterns that are driven by todays knowledge, not ideas from the past.